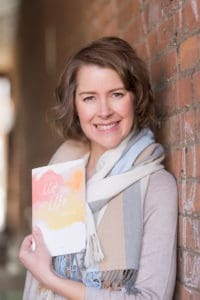 As you organize your holiday gift ideas, be sure to include List Your Life: A Modern-Day Memoir by Chelsea’s Angela Berent. It’s a perfect gift for anyone who has a stories to tell. List Your Life walks readers through the process of gathering memories. Instead of lengthy writing commitments, the stories of our lives are gathered in quick lists as responses to various writing topics that can be light, fun, serious and compelling. As a middle school teacher, Berent knows all about hesitant writers. Creating quick, short lists has been one way that she has helped her students become more comfortable and effective writers. Memories matter, and this beautiful book will provide guidance and encourages your family and friends to begin writing their stories. The watercolors of Chelsea graphic designer Lisa Michele Carpenter and the professional printing by Thomson-Shore of Dexter make List Your Life a gift you’ll be proud to give. 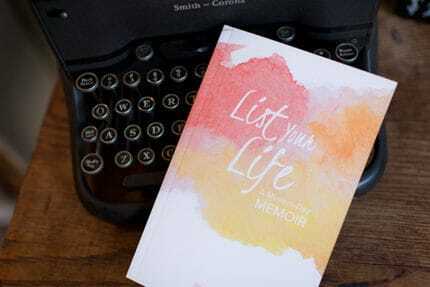 List Your Life: A Modern-Day Memoir is available at a number of independent bookstores around Michigan, including Serendipity Books and The Potting Shed in Chelsea, Move Wellness in Ann Arbor, and The Eyrie in Ypsilanti, as well as various gift shops throughout Michigan. It can also be purchased online at www.writeremember.com. I gave Angela’s books as gifts for mother’s day to my mom and sister. When we get together, we share what we wrote, it is so much fun!